Click here to find the CEF 3 RD&D Resources. 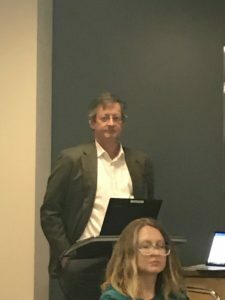 The CleanTech Alliance hosted our Board member Brian Young of the Washington State Department of Commerce in a briefing of the state’s plans for the Clean Energy Fund. His talk included the history of the program and plans for the upcoming rounds as approved in the capital budget passed earlier this year. We had a full room in Seattle, plus fifty participants on the phone. 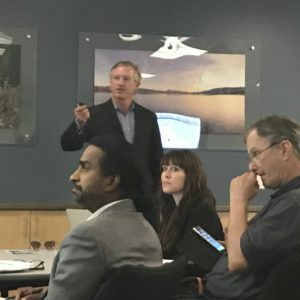 In addition, we arranged presentations in Richland at Pacific Northwest National Laboratory and in Spokane at Avista, also led by Brian. The meetings were held July 31, August 1, and August 2. Russ Weed of UniEnergy Technologies address the CEF application process. Here are the presentations that Brian used. Brian is the Governor’s CleanTech Lead. The CleanTech Alliance encourages participation and applications in the Clean Energy Fund! !